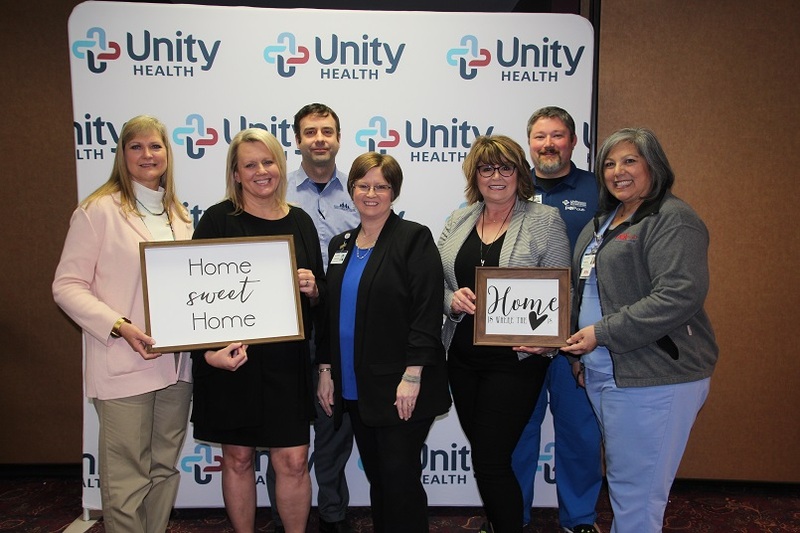 Members of the Unity Health team involved with the “Home is Where the Heart is” capital campaign: Healthy Women of Unity Co-Chair Teresa Blakely (from left), Unity Health Foundation Development Council (Searcy) Chair Amy Daniels, Business and Industry Chair Philip Hays, Unity Health Foundation Executive Director Cassandra Feltrop, Planned Gifts Chair Debbie Elgen and PEP Club co-chairs Burley Scissell and Tonya Carden. About 100 attended the event, which was a kickoff and appreciation luncheon. Unity Health Foundation Executive Director Cassandra Feltrop welcomed those in attendance and recognized foundation board members, committee members, donors and community partners. She announced that the campaign goal is $2.2 million and a little more than $1.5 million has been pledged. Unity Health President and Chief Executive Officer Steven Webb said community support is important to the health care organization. “I’m really thankful for everything you do to help this organization,” he said.